The Lithotripsy Table Drape is a valuable accessory for your Lithotripsy table. 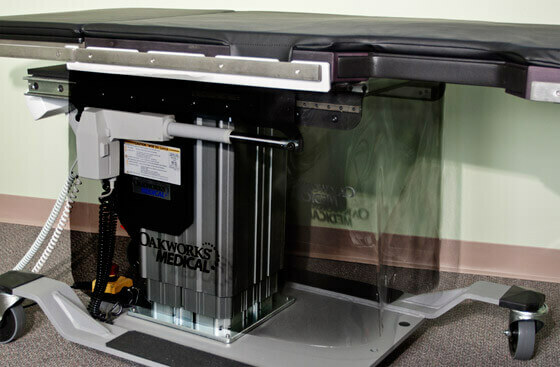 The Table Drape is an economically effective splash shield, which protects your table's lifting motor and wiring in various facilities environments. This device simply and quickly attaches to the table's standard T-Rails located on the sides of the table.